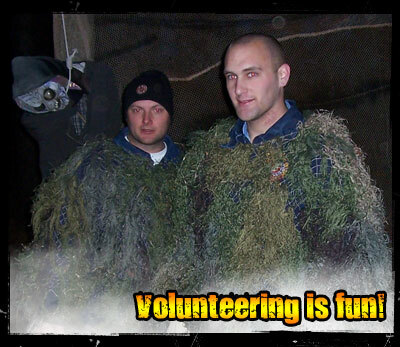 The Field of Screams is always looking for volunteers to help with setup and cleanup. Come help us out and be part of the scare experience. Technical people are always welcome! Fill out the form below to be a volunteer. If a group, how many people? Age (required) Volunteers must be 18 years of age or have an adult volunteer on site with them. Please also fill out and hand in the appropriate waiver(s) below.